The future of electric utilities is tightly bound to their ability to provide automated distribution of electric services. To support these evolving intelligent delivery systems, reliable high performance Internet Protocol (IP) data communications are required. Today’s utility communications networks consist of two distinct parts: Information technology (IT) and operational technology (OT), with the IT network supporting the business operations and the OT network supporting electric service delivery operations. 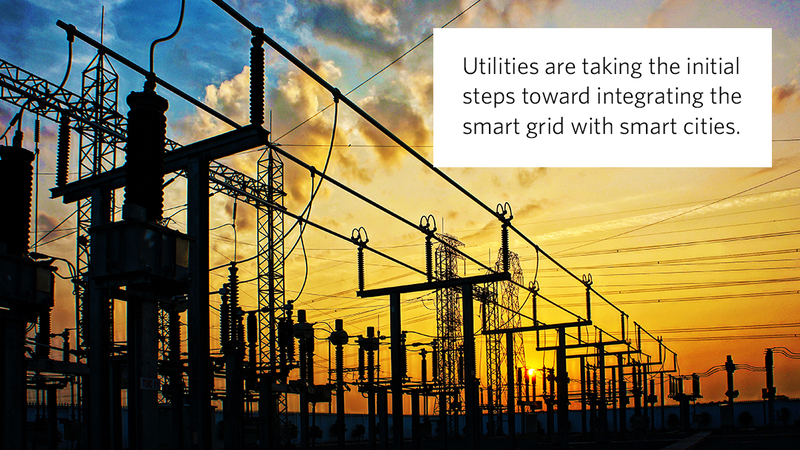 By building communications networks that can more tightly integrate business drivers and goals with the day-to-day load demand for their customers, utilities are taking the initial steps toward integrating the smart grid with smart cities. The foundation for both utility systems integration and smart grid/smart city integration is the communications network. Today, a majority of utilities are struggling with deploying private or public communications infrastructure that can effectively support both IT and OT services. According to the 2017 Strategic Directions: Smart City/Smart Utility Report, only nine percent of utilities deemed their current communications networks “adequate” to support future needs and requirements for grid modernization. Half of the respondents stated that their systems are “close to adequate,” and that they are currently working to update them. Some utilities approach the modernization challenge by continuing to evolve their existing infrastructure, which often consists of two independently operated networks supporting IT and OT. Others are attempting to use advanced capabilities in IP networking infrastructure equipment and applications to logically control the boundaries between business and delivery operations. Responses indicate a clear trend and preference for infrastructure solutions that promote further integration of communication between substations and control centers. This approach allows operators to efficiently and reliably manage the network infrastructure and obtain the analytics required for monitoring and controlling today’s advanced distribution automation systems.